You can run a Head Squared Aquatics franchise as a job-franchise (where you work as a Pond Consultant) or there is the opportunity to build a business format franchise over time. 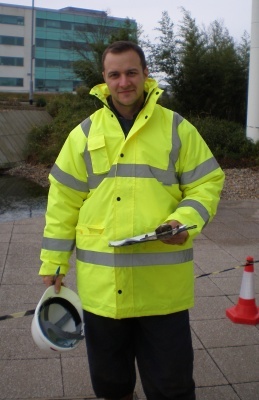 What does a pond consultant do? Pond Consultants offer aquatic specific works to clients (such as fitting filters, pipe work design, consulting on existing ponds, treating ponds, maintaining filter systems, performing pond cleans, new pond build, etc.) amongst others. That involves meeting with clients, winning work, performing surveys, creating quotes, performing works on site and managing sub-contractors (where required) amongst other tasks. The works are varied and interesting, can be challenging but are ultimately rewarding for the correct candidates. First and foremost, the client's needs are always our highest priority. You must be a people friendly person, comfortable meeting with and discussing projects with different kinds of clients. You will need to be physically healthly and capable of working well with your hands (previous experience in construction, carpentry, the trades, or DIY are an advantage). At minimum you will be a good to advanced DIY'er and able to think in three dimensions. Basic knowledge of using computers and the internet are important. You must be happy with the requirements for running a small business. Head Squared will be able to help with many of the tasks to be completed, but you must have basic organisational skills and a drive to succeed. A business takes time to develop and as much as the Head Squared Brand will open many doors for you, ultimately the success or failure of any franchise will lie with you and your passion. If you have the self belief and the desire to forge your own future then why not start a new chapter of your life with a fresh and exciting opportunity?